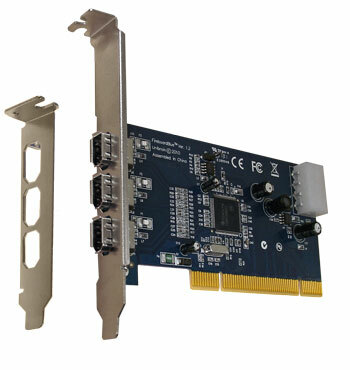 View cart “Firecard400-e 1394a ExpressCard 34 adapter” has been added to your cart. 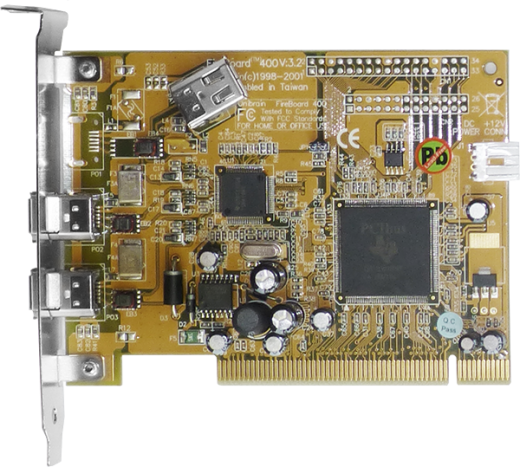 The FireBoard-400™ is a 3 port 400 Mbps Firewire Host adapter based on the Texas Instruments TSB12LV21B (PCILynx-2) IEEE-1394 link controller to PCI bus and TSB41AB3 IEEE-1394 400Mbps PHY layer transceiver. This board is by default delivered with a build-in hardware key that unlocks Unibrain’s Windows 1394 drivers and acts as a license for FireAPI Development Toolkit.